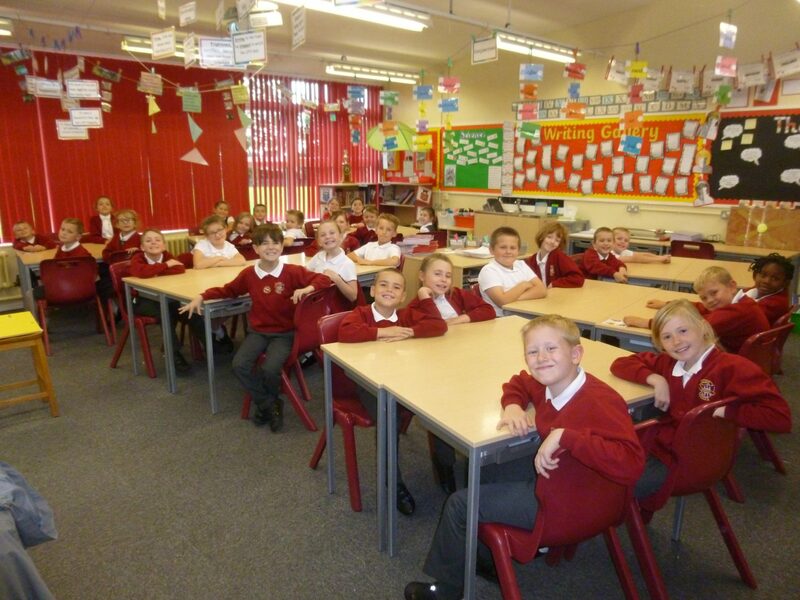 We are the spectacular, superb and marvellous Year 4. There are lots of sensational children in our class. Our lovely, kind teacher is called Miss Nelson and she is supported by Mrs Ward. We have PE with our extraordinary PE teacher Dan and music with the remarkable Mr Hall. We work hard in every lesson. Our favourite subjects are Maths and French. We like Maths especially when Miss Nelson gives us an extra hard challenge. By the end of Year 4, we have to know all of the multiplication and division facts for times tables up to 12×12. To help us with this we complete Times Table Rockstars every week and we are always trying to get quicker. Our favourite thing to do during our French lessons is playing games. We even answer the register in French. In English, we are all working hard to improve our handwriting and are working towards achieving our pen licenses. Now we are in Year 4, we are challenging ourselves to use adventures vocabulary and ambitious sentence openers to create high level sentences. We are really looking forward to going on some exciting and interesting trips over the year and we can’t wait to learn more about the Romans, Liverpool and Rivers. Our school values are very important to us and we always try to show them. Miss Nelson and Mrs Ward watch us carefully to see if we are displaying these qualities when choosing the star of the day. We like to think we are the best singers in school and can often be heard over everybody else. We often get compliments from Mrs Schonau during assemblies. Look out for all our amazing work and exciting activities on the school app.